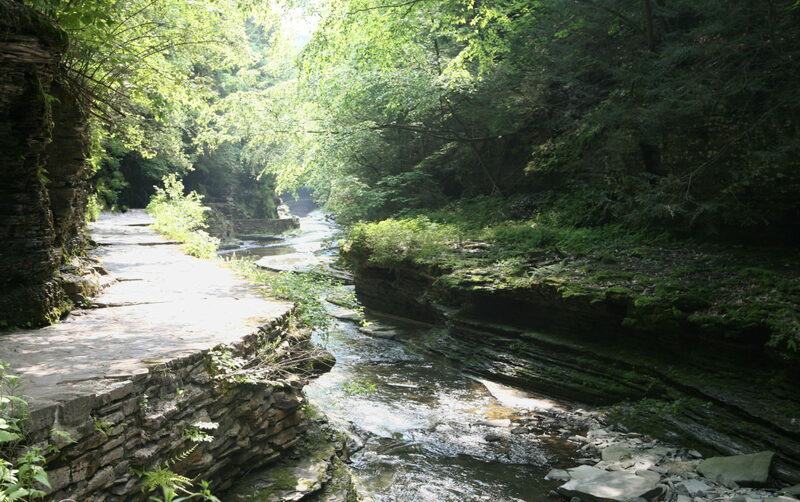 A walking path meanders along a creek near the top of Watkins Glen SP. On our road trip into NY’s Finger Lakes region, my friend and I started the 2nd day early, at the top of Watkins Glen SP. The morning light was wonderful.